Additionally, we are knowledgeable in the niche area of palimony or Marvin cases. We work to resolve matters outside of court and, if necessary, in trial. Our law office also represents personal injury victims, including children. We help people pursue compensation for current and future health care, lost income, rehabilitation and financial burdens associated with permanent disability. We advocate for clients hurt by motor vehicle accidents, defective products, slip and falls, dangerous premises and school negligence. In one case, we were able to obtain a settlement of $3.5 million for a trucking accident that resulted in a wrongful death. In addition to family and personal injury cases, our firm handles business, commercial, contract and employment matters. This includes wrongful termination, sexual harassment, discrimination and whistleblower claims. We provide a free initial consultation to all prospective clients, no matter what type of issues they face. 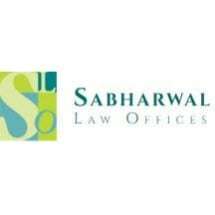 Sabharwal Law Offices works with people in Alameda County, Contra Costa County, Marin County and along the Bay Area Peninsula, California. We accept credit cards as payment.